and are in kitchens all over the U.S.
"Hi Dorothy, The plates arrived yesterday in tact and I couldn't be more pleased! Your work is beautiful and I'm not easy to please!" 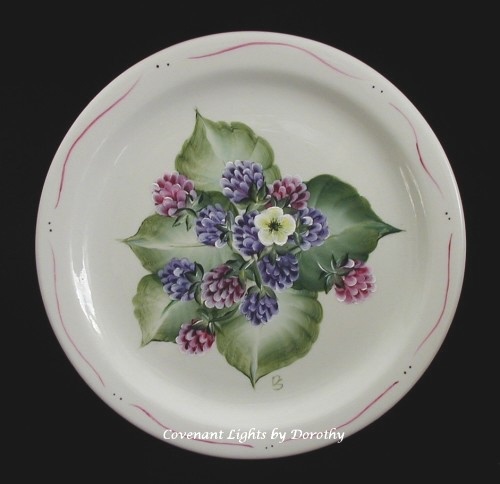 Decorative hand painted berry plate. 8" diameter. This decorative plate would look lovely in your kitchen or in your dining room hutch. 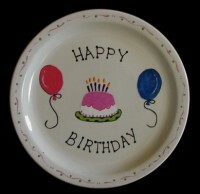 Use it to serve wrapped candies at brunch or to hold condiments. Hand wash.
Fun hand painted plate with a birthday cake and balloons to use when celebrating a birthday. 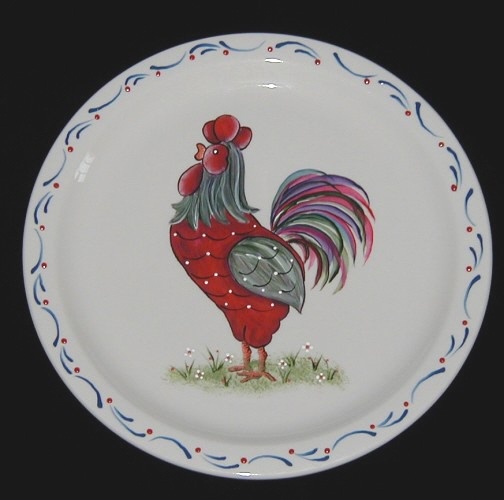 Clear plate should be used on top of hand painted surface for food. 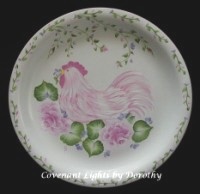 Pink chicken sitting in the rose garden hand painted on a 10 1/2" white plate. Perfect addition to your rooster/chicken collection. Hand wash only. 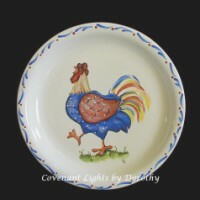 Blue folk art rooster hand painted on a 10 1/2" white plate. 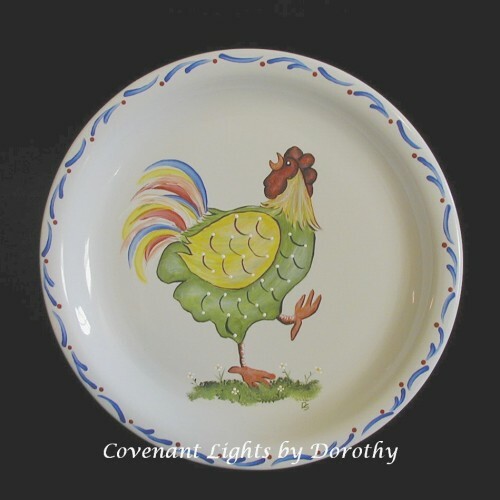 Perfect addition to your rooster/chicken collection. Hand wash only. 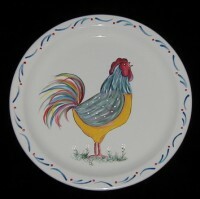 Green folk art rooster hand painted on a 10 1/2" white plate. 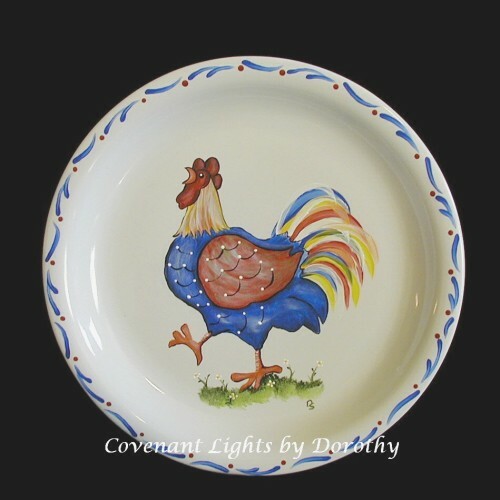 Perfect addition to your rooster/chicken collection. Hand wash only. 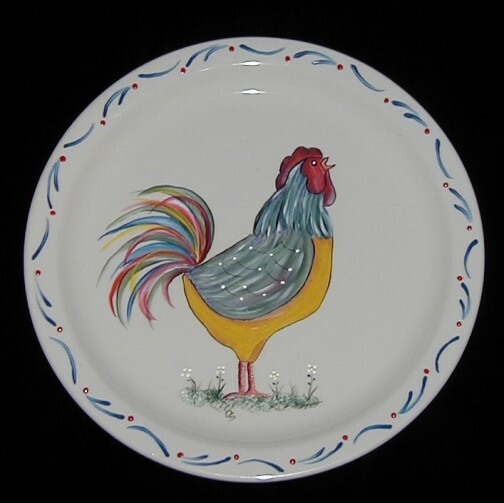 Red folk art rooster hand painted on a 10 1/2" white plate. 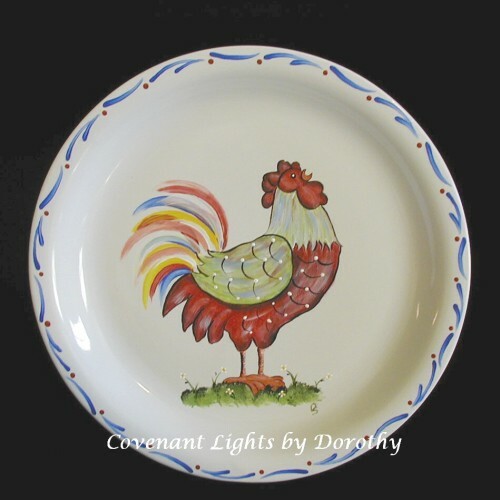 Perfect addition to your rooster/chicken collection. Hand wash only. Yellow folk art rooster hand painted on a 10 1/2" white plate. Perfect addition to your rooster/chicken collection. Hand wash only. 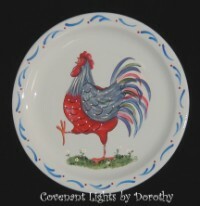 One each of my hand painted folk art rooster plates.